A simultaneous measurement on dynamic viscoelastic and conductive behaviors was carried out to investigate the effect of high temperature annealing on the properties of carbon black (CB) filled high-density polyethylene composites. 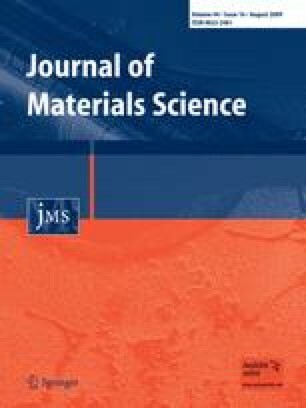 The results showed that dynamic storage and loss moduli of the composites increased significantly with increasing annealing time, and there existed a liquid- to solid-like transition at a critical time (tc) which is dependent on temperature and CB content. Accompanying with the variation in dynamic moduli, electrical resistance (R) decreased sharply with time. What’s more, the increase of R could be observed in the long time region. The activation energy determined from tc as a function of reciprocal temperature was found to be irrespective of CB content. The evolutions of moduli and R induced by thermal treatment were discussed on the base of the concept of filler flocculation in the melt. This work was supported by the National Nature Science Foundation of China (No. 20774085).